Mark your calendars for the evening of Saturday, May 11, when we will have the opportunity to celebrate our dear Ruth Palmer and the enormous impact she has had on our musical and spiritual lives. Jake Runestad and Dale Warland have each been commissioned to write a piece in honor of Ruth as she starts her retirement. These pieces will be premiered that evening, with a reception, including appetizers and dessert, following the concert. 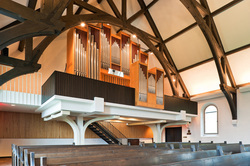 The music ministry of Unity Church seeks to integrate music into the life of the church by providing the highest standard of music representing a wide variety of different cultures, eras, genres and styles; by providing opportunities for members of the congregation to participate in formal and informal musical ensembles; and by creating opportunities for interaction between worshipers and musicians both from within the congregation and from the wider Twin Cities musical community. Here at Unity Church we have a vital choral program and invite you to consider joining us this year. Yes, for the adults, it is a huge help to have some musical experience such as music lessons at some time in your life or having sung with a choir. Of course, if that is not in your background but you have a passionate interest and the courage to jump into the flow of things in order to learn a new skill, we invite you to come and sing with us. We have a great time together! Please feel free to contact Ruth Palmer, Director of Music Ministries, with any of your questions at ruth@unityunitarian.org or 651-228-1456 x118. Children’s Choir (grades 1 - 5, trans inclusive) Rehearsals are Sundays from 10:15–11:00 a.m., in the Foote Room. Kathleen Radspinner, director. Unity Choir (adult, high school and beyond; non-auditioned ensemble of 60 to 75 voices, trans inclusive) Rehearsal are Thursdays from 7:30– 9:15 p.m., in the Parish Hall. Ruth Palmer, director. Unity Choir is a community of members from parents of new born infants to those retired and actively engaged in new life journeys. This singing community is the strong component on which our music program is built and is a vital and energetic presence in our community. Unity Choir is a gathering of volunteer singers which works in groups from 20 to its full complement of some 65 members. Its members share various levels of musical experience and a wide variety of activities and interests, all of which are brought together by their love of singing, music and community. Our thanks and tribute to them for sharing their energies and passion with us. Their work can be found on our 2002, 2005 and 2008 Unity Music CDs, available in the Parish Hall Bookstall. Unity Singers (an auditioned a cappella chamber choir, trans inclusive) Rehearsals are Tuesdays from 7:30-9:30 p.m., in the Foote Room. Ruth Palmer, director. Women’s ensemble (trans inclusive) Unity’s Women’s Ensemble is a continually growing and evolving group. These singers meet for only a half-hour each Sunday morning and into to this short rehearsal time they bring tremendous creative energy, commitment, and joy! Ruth Palmer, director; Kathy Kraulik, choir pianist and assistant (4:30). Rehearsals are Sundays from 10:15-10:45 a.m.
For the past 25 years, talented members of the Unity Church community have come together to write, compose, direct, choreograph, and perform a unique show for Unity Church. Participation in the Unity Children’s Musical has been a rite of passage and transformative experience for many of our young people. If you have a 6th, 7th, or 8th grader, consider whether this creative, fun, team-building experience might be right for them. Feel free to contact Ruth Palmer at ruth@unityunitarian.org or 651-228-1456 x118 with any questions. Concerts with a Cause These one-hour concerts will be offered periodically throughout the year in support of one of our Unity Church ‘causes’ for action and social justice. All proceeds from these concerts are given to a named cause. All musicians donate their time and performance to the benefit of this cause. Watch for additional information in newsletters this fall. Unity Church Volunteer Musicians As always we will be looking forward to hearing from our own Unity musicians in various venues throughout the year. We encourage solos, small ensembles and family musical teams to participate. Guest Musicians We always look forward to inviting outstanding musicians from our Twin Cities professional community to participate in our services and are enriched by the presence of their expertise. Please consider joining with us to support the many associated needs for our singers, musicians and entire music program area. We need your help as greeters, Welcome Team, kitchen assistance, music filing, upkeep of musical supplies, etc. Events and areas of need such as the Holiday Carol Sing/Concert/Dessert Buffet, Foote Music Sunday choir receptions and Choir/Storage Room need your unique abilities. 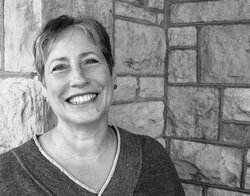 Questions about Unity Church's music programs should be directed to Ruth Palmer, Director of Music Ministries, by email to ruthp@unityunitarian.org or by phone at 651-228-1456 x118.